As more states legalize marijuana, companies are betting big on people wanting to sip, rather than smoke, their weed. 2018 was inarguably the year of CBD: Marijuana’s non-psychoactive, less giggly compound showed up everywhere promising everything from pain relief to anxiety reduction, from LaCroix-esque sparkling water and high-end gumdrops to body lotion and bath salts (not those kind of bath salts). 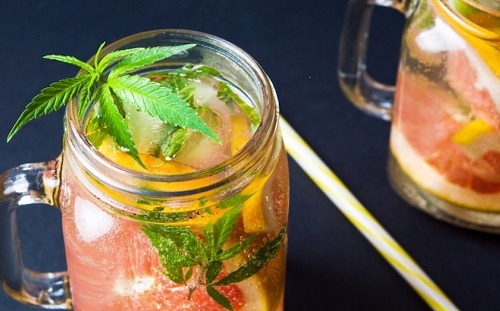 But while CBD consumption can certainly lend a chilled-out vibe at the proper dosage, to actually get high, there needs to be some THC involved, whether it be smoked or otherwise consumed — and it seems drinking your weed will be a big trend for the year ahead.